TRANSFAC® and TRANSPATH® are registered trademarks of QIAGEN, the contents of the mentioned databases are subject to copyright (© Copyright (2016) QIAGEN GmbH). TRANSFAC® is the gold standard in transcription regulation, providing information about the involved components (transcription factors, TF, and their genomic binding sites) as well as the largest library of TF binding site models (i.e., positional weight matrices) to be used for the prediction of potential binding sites in DNA sequences. TRANSPATH® is one of the largest signaling network databases. It has been integrated with the PROTEOME database, but is also available as stand-alone product. Both TRANSFAC and TRANSPATH are valuable resources to fully exploit the capablities of geneXplain’s proprietary upstream analysis implemented in the geneXplain platform. PROTEOMETM has been a collection of databases about the completre proteomes of different organisms. Its volume HumanPSD (Human Proteome Survey Database) is a comprehensive encyclopedia of the disease associations of human, mouse and rat proteins. Its particular value lies in the identification of known and potential biomarkers. As of July 7, 2016, geneXplain has been granted a world-wide, exclusive and perpetual license to further develop, maintain and commercialize the former BIOBASE databases TRANSFAC®, TRANSPATH® and PROTEOMETM. Find history in our archive. 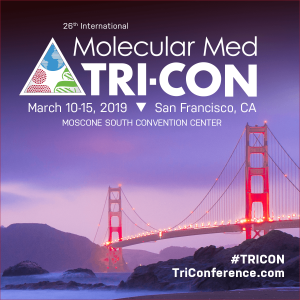 GeneXplain will be represented at the 26th Molecular Medicine Conference (San Francisco, California), TRI-CON. We look forward to seeing you at the conference booth 333. GeneXplain participated in the kick-off meeting of PD-MitoQUANT in Dublin at RCSI.